Marry Him and Be Submissive, Costanza Miriano, Hardcover, # 65461, 256 pages. ARE WE REALLY CALLED TO BE SUBMISSIVE? 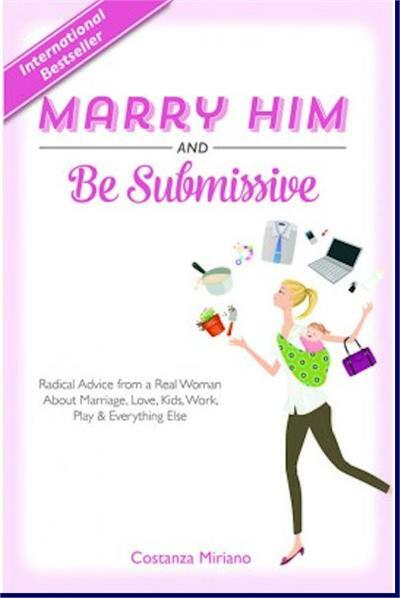 Wives, be submissive? Really? Well, yeah…and here’s why it will lead to a more fulfilling marriage and life! Miriano boldly, playfully, and profoundly takes the lives and loves of modern women head on, and shows how true marital happiness and holiness is found in submission. And she shows how submission—real, true submission, which is about love, humility, and support—will lead you to salvation. Far from belittling women, it empowers them (and their families) in ways that secular feminism can only dream of.